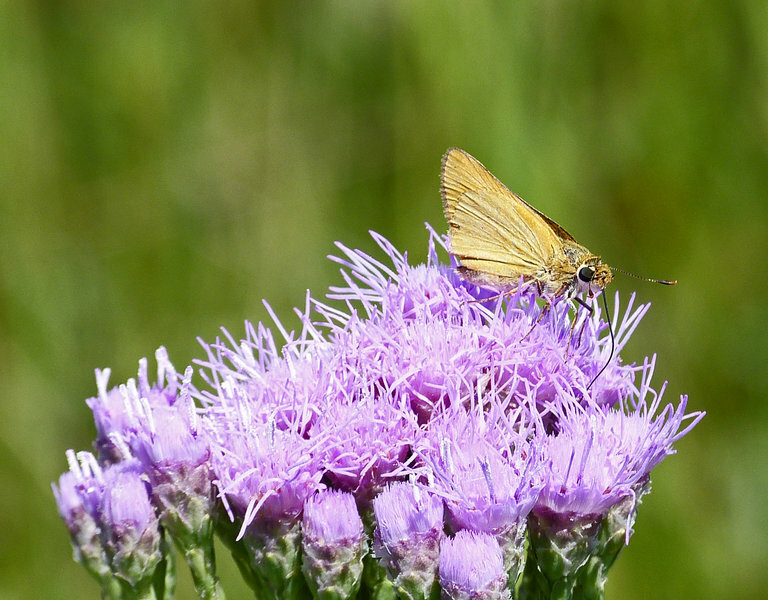 This is one of few records of Arogos Skipper at this state park though the habitat and host plant are here. 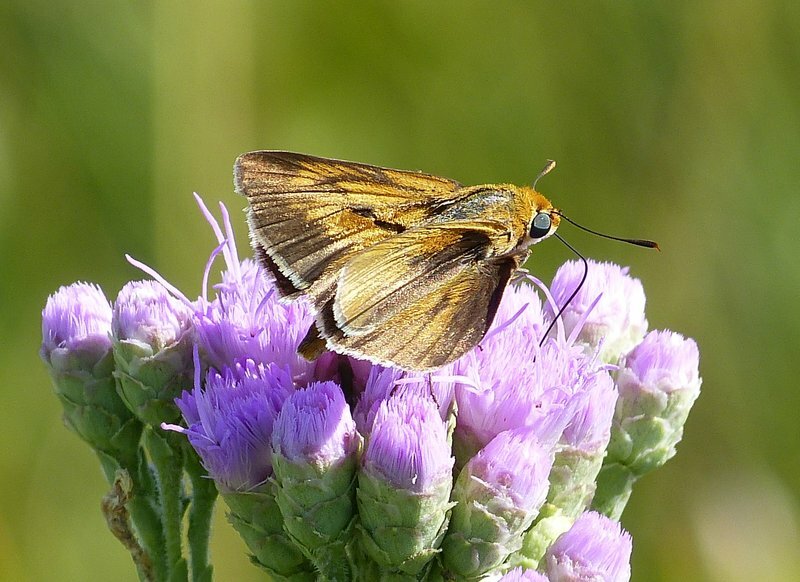 This worn female was confirmed by an Arogos Skipper expert. Weather was not very good with rain moving into area in early afternoon. Brisk winds. Lots of Carphephorus corymbosus but not much liatris yet.